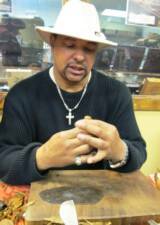 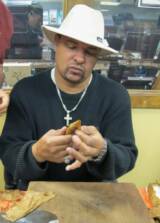 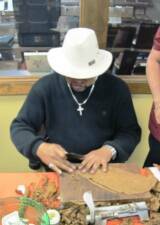 Walter "WB" Briggs demonstrates how premium made hand rolled cigars are made. 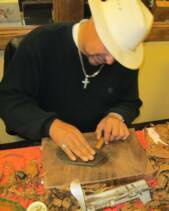 Walt starts by selecting a nice tobacco leaf and shapes the leaf by cutting it with a knife on a cigar cutting board. 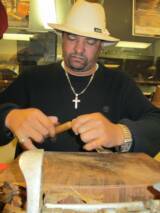 The leaf is flattened to ensure uniformity and consistency for a firm cigar with a good draw. 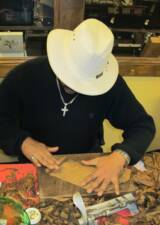 Walter then takes a selection of tobacco leaves that are combined to create the unique flavor that will define the flavor of the cigar and rolls it into the cut tobacco leaf. 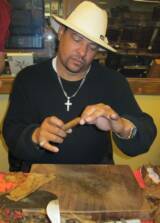 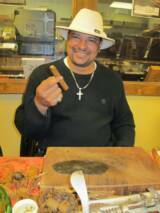 The roll must be smooth and consistent to give the cigar a smooth, refined finish. 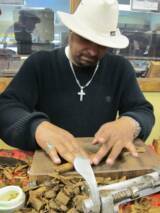 Walter ensures that the leaf wraps smoothly and inspects it for flaws. 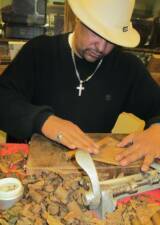 Once Walter is satisfied that the wrapper is right, he is ready to move to the next phase. 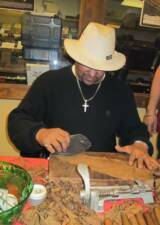 Just a few final touches and Success! 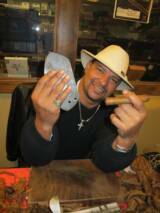 Walter trims the length of his cigar. 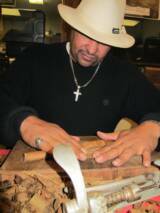 Almost done, looking good. 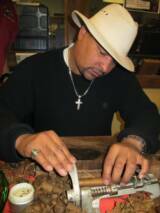 Walter delicately places the crown, ensuring that it is smooth and well finished.